The logic family is RTL (Resistor Transistor Logic) (inverting) , using "speed up" capacitors across the input resistors, and clamped output voltage. 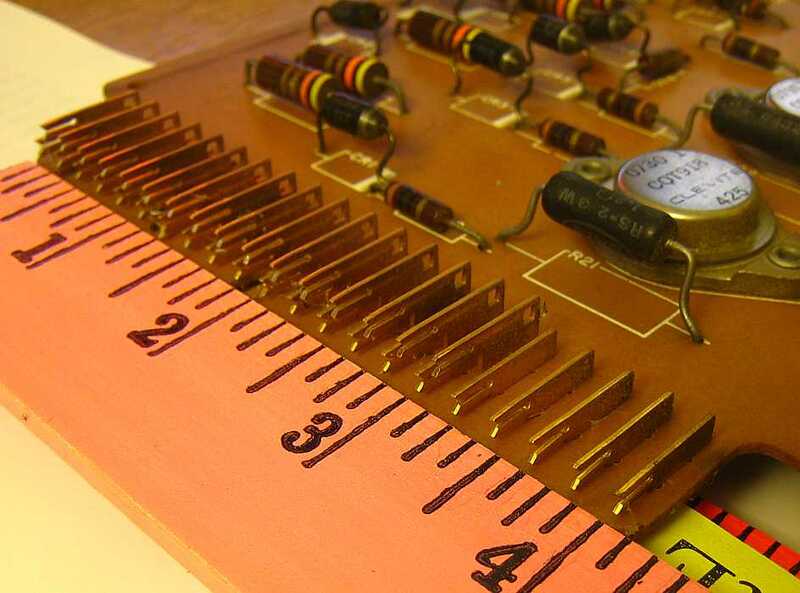 These are "two sided" boards, ie, circuits on the two sides of the card, no internal layers or traces. 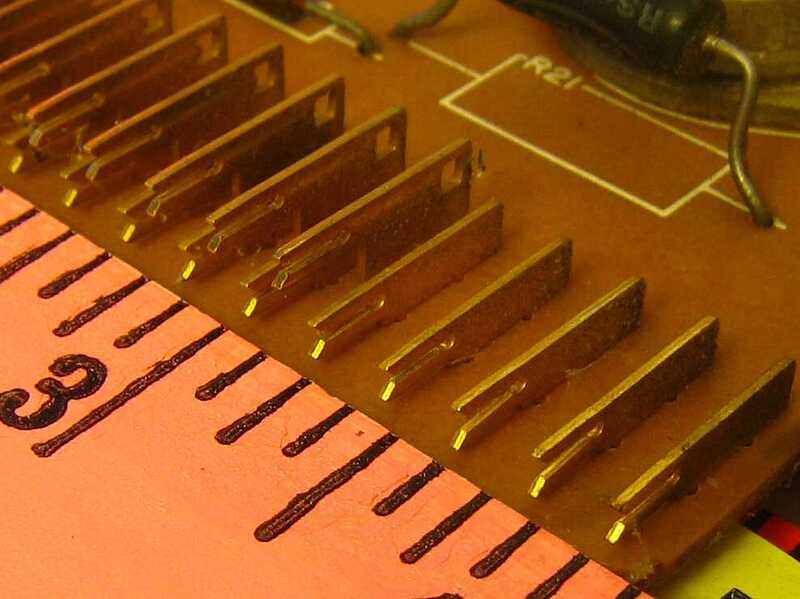 The cards can be "keyed", have notches in the connector area, to prevent inserting the wrong card into the barriers in the socket. 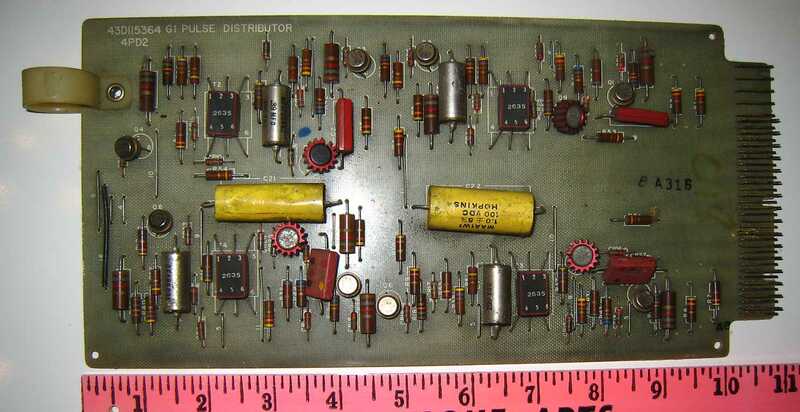 The cards are 5 3/8 inches wide, 10 7/8 inches long including connector pins, about 1/16 inches thick, and an unknown intercard distance. 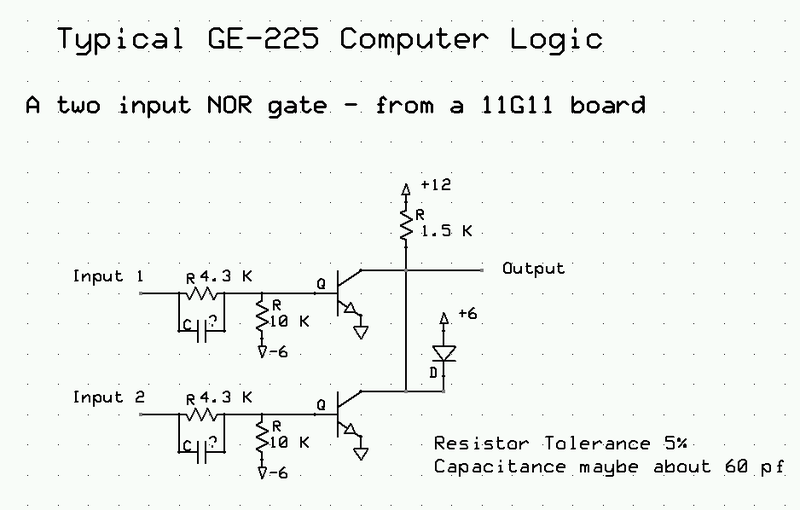 This is a typical GE-225 gate circuit - as in a 11G11 card, 2 input NOR, very commonly used. The logic voltage levels would be about 0.7 volts "LOW", 6.5 volts"HIGH". The edges were sharp enough so that a 15 foot wire I added for a paper tape punch would "ring", and needed to be terminated. There is room for 21 pins in the first row, on 0.2 inch centers, and between those pins room for 20 more pins between the first row pins. The pins in the sockets are at a 90 degree angle and similarily split for a very positive sliding contact.